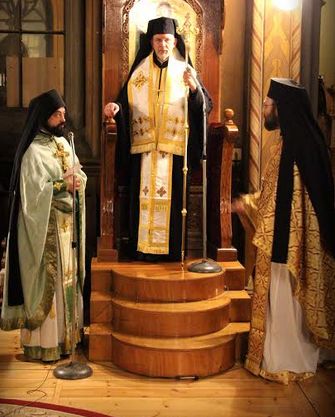 The Holy Metropolis of Sweden and All Scandinavia ceremoniously celebrated the feast of the Presentation of our Lord, together with the first common celebration of the three newly proclaimed righteous ascetics, Paisios of Mount Athos, Porphyrios of Kafsokalivia, and Iakovos of Euboea at the St. George Cathedral of Stockholm on Friday, February 2, 2018, during a special vigil service. On the evening of February 2nd, the offices of Great Vespers, Matins, and the Divine Liturgy were celebrated, officiated by His Eminence Metropolitan Cleopas of Sweden and All Scandinavia, who was assisted by the Very Rev. 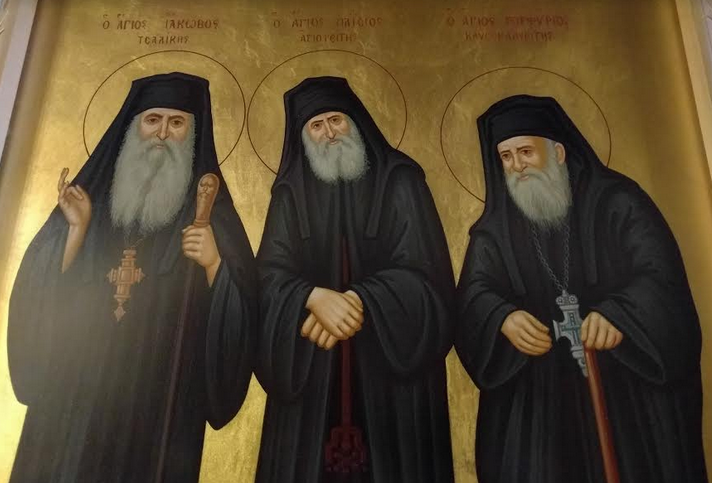 Archimandrites Sosipatros Stefanoudis, parish priest of the St. George Cathedral, Alexander Loukatos, parish priest of the Annunciation of the Theotokos Metropolitan Church in Oslo, and Damaskinos Mourtzis of the Holy Metropolis of Hydra, Spetses, and Aegina, who was visiting from Greece. 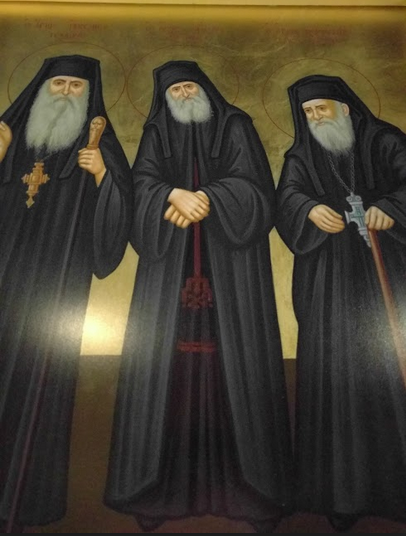 The holy icon of the three new Righteous Fathers among the Saints was created and delivered to the Cathedral by the iconography studio of Mr. Michael Androutsos, based in Ioannina, Greece. The initiative and inspiration for the design of this icon belongs to Metropolitan Cleopas, who had the special blessing of serving under the spiritual guidance of the most recent of the three saints, Iakovos Tsalikis. 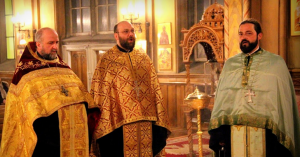 The Cathedral’s Byzantine choir, under the leadership of Mr. Dimitrios Kalpakidis, head chanter of the aforementioned church, offered an exceptional rendition of the evening’s hymns. 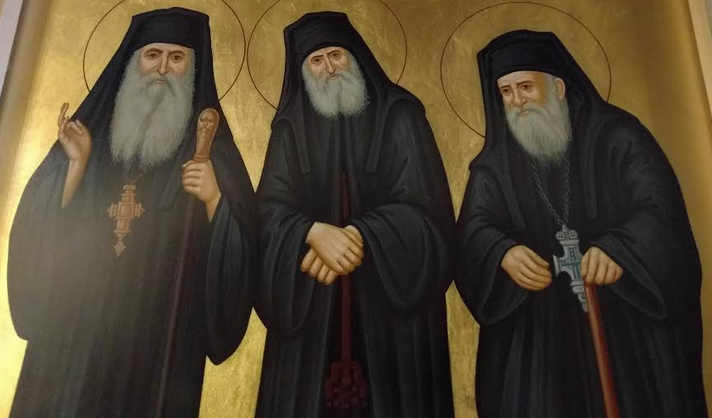 Metropolitan Cleopas delivered the sermon and spoke about the lives and teachings of the three saints being honored, as well as their three common virtues: love, humility, and spiritual discernment. 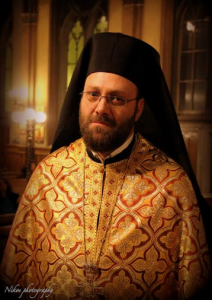 He also conveyed the blessings of His All-Holiness Ecumenical Patriarch Bartholomew, while thanking the clergymen who joined him in the evening service and came from near and far to participate. 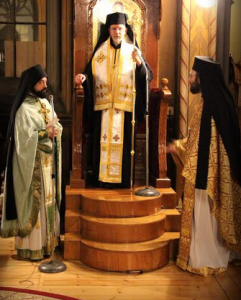 In addition, he thanked the chanters for their skillful rendition of the festal hymns, as well as the donors of the icon featuring the three new saints of the Orthodox Church, which shall now be permanently stationed in the Cathedral for veneration, the iconographer Mr. Michael Androutsos, who was on hand for the celebration, accompanied by the woodcarver Mr. Christos Petsios of Ioannina. 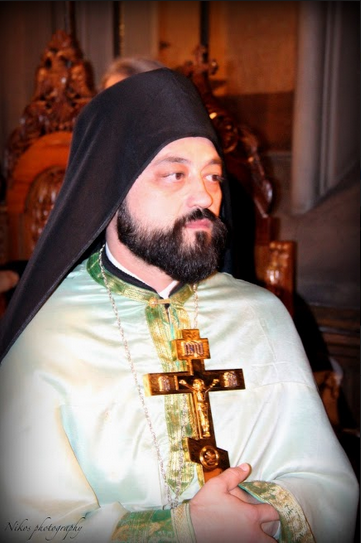 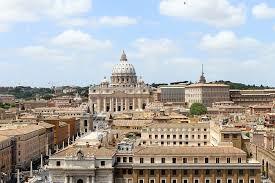 The Metropolitan conveyed his wishes to the large group of faithful in attendance at the services, who, for the first time in the history of the Holy Metropolis, had the pleasure of sampling the spiritual, liturgical, and sacramental rejuvenation that comes from the celebration of the aforementioned vigil, which was held on the occasion of the commencement of the ecclesiastical period of Triodion. A dinner followed in the Cathedral fellowship hall, kindly sponsored by Mr. Angelos Exadaktylos, which was attended by Metropolitan Cleopas and the clergy, members of the Metropolis Executive Board, the Cathedral Parish Council, Messrs. Michael Androutsos and Christos Petsios, and the faithful.